What: The Seton Hill University National Catholic Center for Holocaust Education will screen the film “Frank Vs. God” as part of the 23rd Annual JFilm Festival being held throughout the Pittsburgh area. Tickets are $10 in advance and $12 at the door. Order your tickets at www.JFilmPgh.org or call 412-992-5203 from 10 a.m. to noon Monday through Friday. When: Thursday, April 14, 7 p.m.
Where: Seton Hill University Performing Arts Center, 100 Harrison Avenue, Greensburg. About “Frank Vs. God:” God has been tough on David Frank. Devastated by the recent loss of his wife and a tornado that ruins his house and takes his beloved dog, Frank is fed up with these “acts of God,” and—as any good lawyer would do—serves God his papers. This delightful film brings levity to the heaviest questions of faith and spirituality as Frank calls on representatives of the world’s religions to help defend God’s actions. Emmy-nominated actor Henry Ian Cusick (Lost, Scandal) delivers a charming performance in this light-hearted story of one man’s search for answers and love. JFilm presents independent films from around the world to deepen both Jewish and general audiences’ understanding of Jewish culture, tolerance, and our common humanity. JFilm offerings attract those interested in international, independent and/or Jewish-themed films. A broad range of programming is designed to reach people of all races, religions, ages and abilities, and emphasis is placed on collaboration with other organizations. The organization was started in 1994 by a community volunteer and the Jewish Federation of Greater Pittsburgh. JFilm is supported by corporations, local and national foundations, government grants and individual donors. 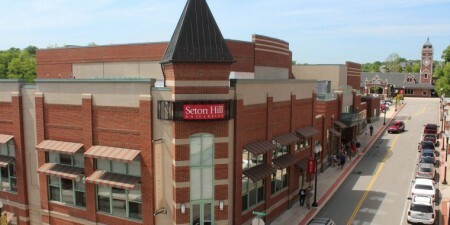 The National Catholic Center for Holocaust Education (NCCHE) was established on the campus of Seton Hill University in 1987. 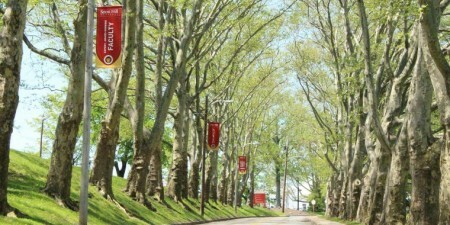 Seton Hill University initiated this national Catholic movement toward Holocaust studies, in response to the urging of Pope John Paul II to recognize the significance of the SHOAH, the Holocaust, and to “promote the necessary historical and religious studies on this event which concerns the whole of humanity today. The Mission of the National Catholic Center for Holocaust Education is to counter antisemitism and to foster Catholic-Jewish relations by making the fruits of the Holocaust scholarship accessible to educators at every level, especially in Catholic colleges and universities throughout the United States. To this end, the Center sustains a vital cooperative program with Yad Vashem in Israel and designs events to assist educators in shaping appropriate curricular responses for students of every age.